The Gazelle is Ramonalisa's 2019 version of last year's popular Ammonite dress -- back with new fabrics! 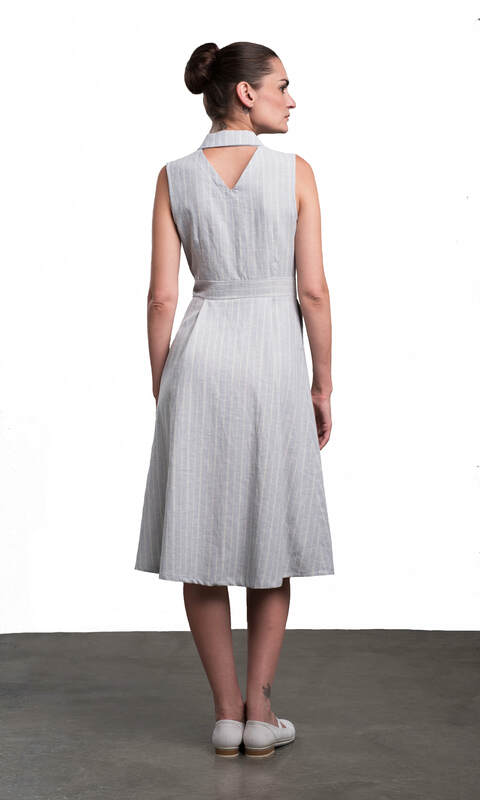 This sleeveless midi dress has a slightly fitted top and an A-line skirt. It buttons up the front and has a small collar, while the back has a super cute triangular cut-out. 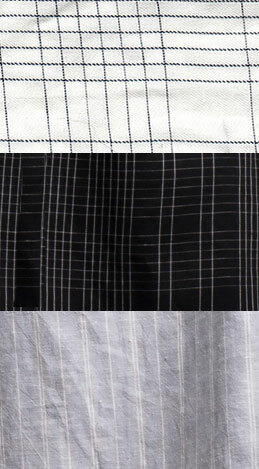 We've got it in Ivory Check, Black Check (see fabric swatch photo), or Blue Stripe prints in sizes XS to XXL. Made in Montreal. 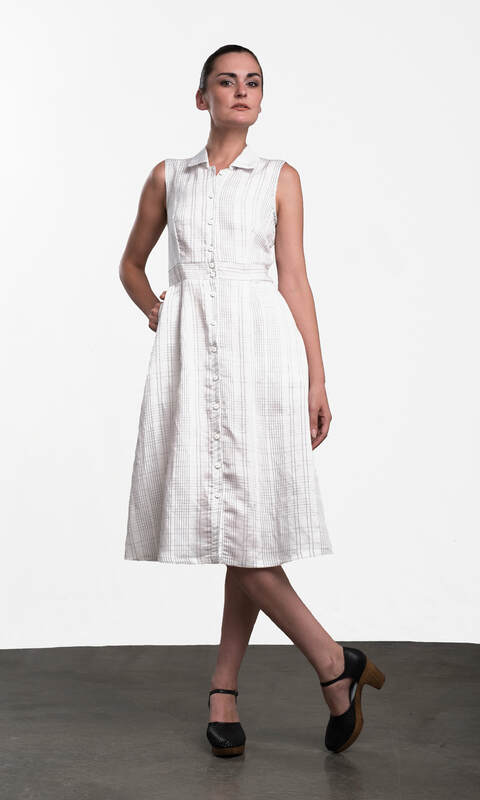 Ramonalisa is committed to using only eco-friendly and sustainable fabrics.